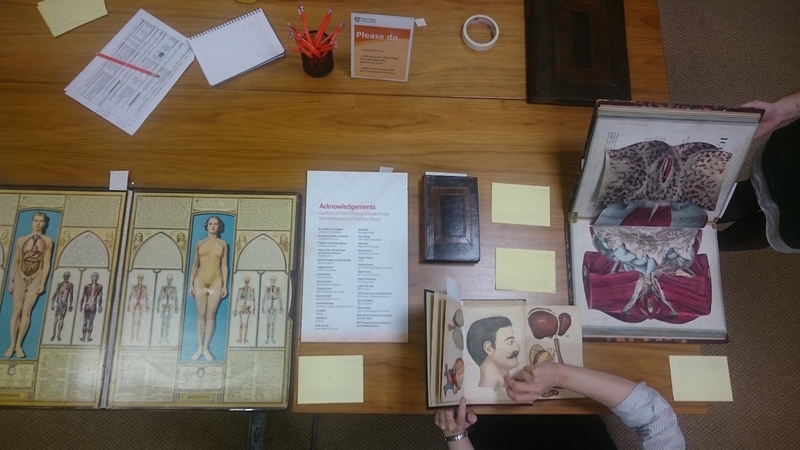 Katie Birkwood, rare books and special collections librarian at the Royal College of Physicians (RCP), London, reflects on curating the RCP’s new exhibition Under the skin: illustrating the human body. The seed of the idea for Under the skin was sown in spring 2018, when a chance conversation with Daryl Green led me to thinking about how the treasures of the Royal College of Physicians (RCP) museum collection – our 17th century anatomical tables – both do and don’t fit the bill as the kinds of three-dimensional representations being studied by the Thinking 3D project. The conversation about Thinking 3D and the RCP started with our unique set of 17th century tables of veins and nerves. The tables show nerves, veins and arteries dissected from human cadavers in the anatomy theatre at Padua spread out on wooden boards as if they’re anatomical illustrations. In 2018 we had one of the tables 3D scanned, resulting in an interactive online model which shows just how flat these once three-dimensional bodies have been made. We’d also had a 3D-printed made of one of the hands made from the scan, so that visitors to the RCP museum can explore the object in a tactile way. From this seed grew the idea of an RCP exhibition on the theme of three-dimensionality in anatomical illustration, an exhibition that opens on 1 February 2019. So, how did I go about choosing and arranging the 50-or-so physical exhibits, plus reproductions, audio, and video content in the exhibition, and what else goes on to get the show on the road? 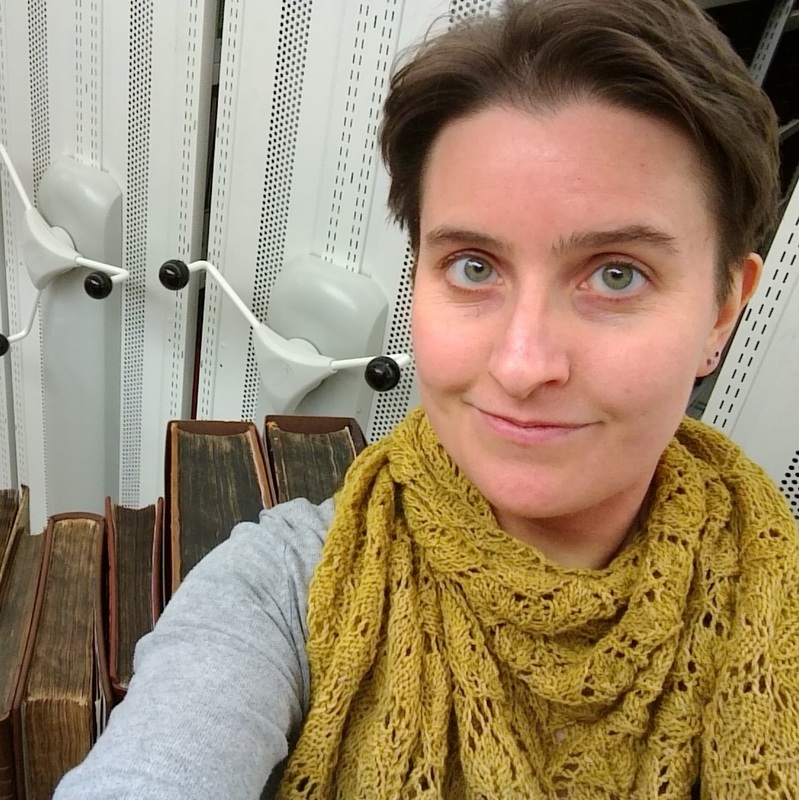 As a librarian, my first port of call was naturally to start searching the catalogue. 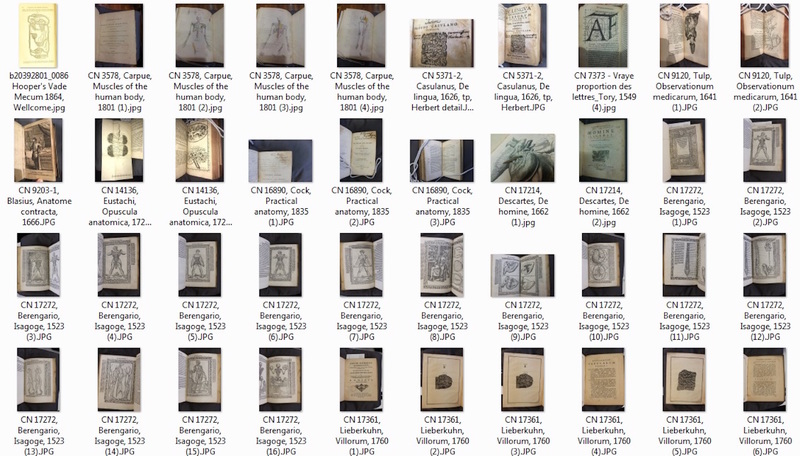 However, our descriptions aren’t always all that they might be, and it was easier and more enjoyable to start browsing the shelves dedicated to anatomy for interesting books. I wanted to broaden the exhibition beyond the obvious candidates (though Vesalius does feature! ), so I was keen to look out for images that caught my eye. 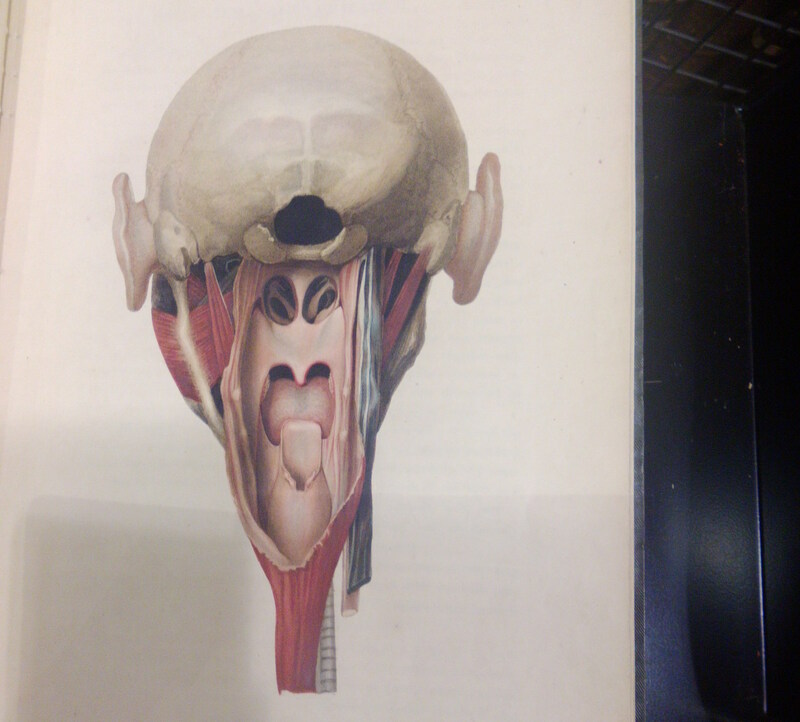 Unsurprisingly, I found plenty, such as the unusual head views in John James Watt’s 1809 Anatomico-chirurgical views of the nose, mouth, larynx, & fauces. 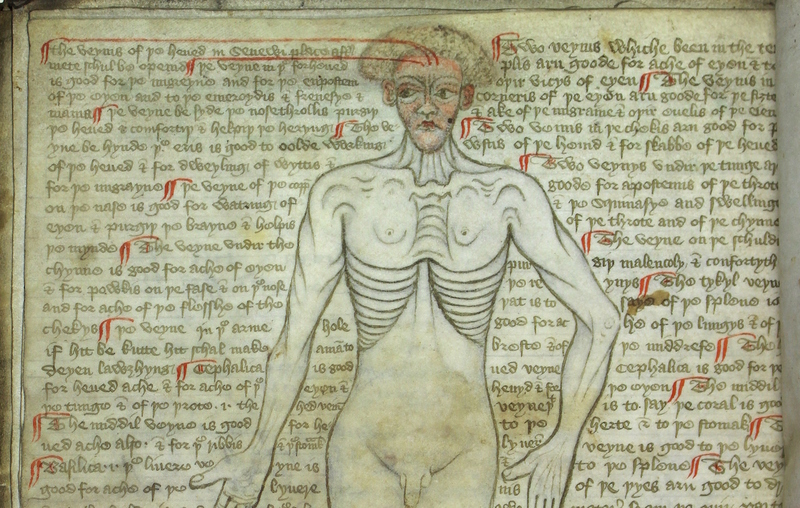 My museum and archives colleagues were also invaluable for suggesting items from their collections that fit into the exhibition remit, and I’m particularly delighted by the 15th century vein man drawing, which includes – amongst others – the warning (or promise?) that bloodletting in the armpit will cause a man to laugh himself to death. I’ve been reading around the subject, too, drawing on the excellent modern reference sources in the RCP library to learn more about the history and processes behind making anatomical images. The Thinking 3D website and Facebook page are also constant sources of inspiration, as have been other exhibitions both online and physical including especially Our science and art at the Royal College of Physicians and Surgeons of Glasgow, Animated anatomies from Duke University Libraries, and Historical anatomies on the web from the US National Library of Medicine. Mobile digital technology is an absolute boon to researching and planning an exhibition, especially one with such highly visual content. While browsing the RCP bookshelves – both physical and virtual – I’ve been taking dozens of quick photographs and screenshots, leading to a bank of images (usually blurry) to compare, contrast and choose from. A word from the wise: to make sure you know where the pictures come from, label your screenshots right away, and if you’re photographing from real books, take a snap of the title page and/or shelfmark as well as the page(s) of interest. There’s nothing worse than having a completely brilliant and completely unidentifiable photo lurking in your research folder! Practical considerations are never far away in exhibition planning, and boring-but-important considerations such as space and lighting are particularly present when the exhibits are very large and often highly colourful. Some of the most spectacular books and drawings in the collection are simply too large to fit into any of our display cases, and I’ve had to make the decision to show them in reproduction. It’s sad, in an exhibition that concerns itself so much with the physicality and technology of drawing and printing, but there’s nothing else for it. We hope to be able to fetch out some of the originals as part of the exhibition events programme, at least. Even for the smaller books, you need to take care to make sure all your intended exhibits plus their captions will fit into each case. The easiest and most reassuring way is to commandeer a table, mark out the case dimensions, and lay everything out to have a look at it. Several months out from installation, this is often the first time the exhibition really starts to feel real. Another practical concern is the very three-, and indeed four-, dimensionality of the books themselves. Several of them are more complex than flat printed pages, and have not only three-dimensional elements, but also moving parts taking them into the fourth dimension of time. Letting exhibition visitors handle the moving parts themselves in the gallery is a big no, so I’ve been creating animations and videos that show how these flaps and volvelles work in practice. It’s no hi-tech, fancy filming set-up: just a camera stand and a couple of lights. Colleagues have been very helpful with holding pages and flaps out of the way and at peculiar angles while I snap away. I’m not sure a second career in stop-motion animation awaits, but it’s been rather fun. As I write we’re about to start the only visible part of exhibition preparation: putting visuals up on the walls and installing objects in the display cases. We have a phalanx of Perspex book mounts ready and waiting, and each display page in each book has been carefully marked with a slip of acid-free paper. Rolls of Melinex strip lie ready to hold pages gently in position, and we have piles of mounted and trimmed captions ready and waiting. 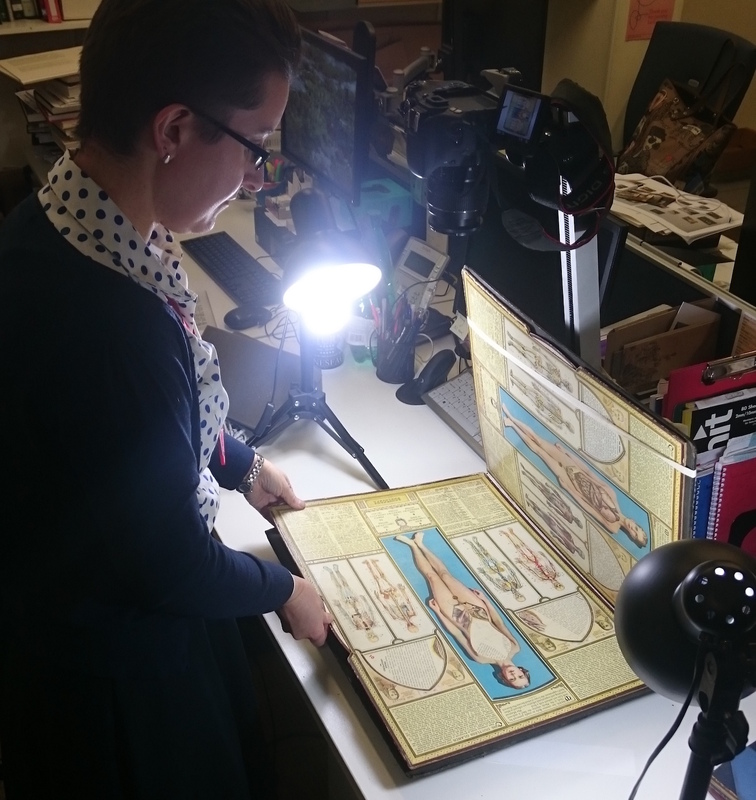 Hopefully when the exhibition opens on Friday morning the pictures will wow our visitors, and encourage them to think a little deeper about the many ways of illustration what lies under the human skin. The exhibition is part of Thinking 3D. Read more about the final result on the exhibition’s dedicated webpage.